Repair front corner leaks in Vikrell bathing fixtures with Dry-Block seal. NOTE: Use colored 100% silicone sealant to ensure against leaks. Use of latex, acrylic, or other caulks is not recommended. Cut away the damaged wall material around the seam between the bath and side wall. The cutout should be at least 2” (51 mm) wide and 4” (102 mm) long. Clean the surface of the seam with fine grit sandpaper to ensure a good bond with the sealant. NOTE: Make sure that the seam is clean and dry before applying sealant. 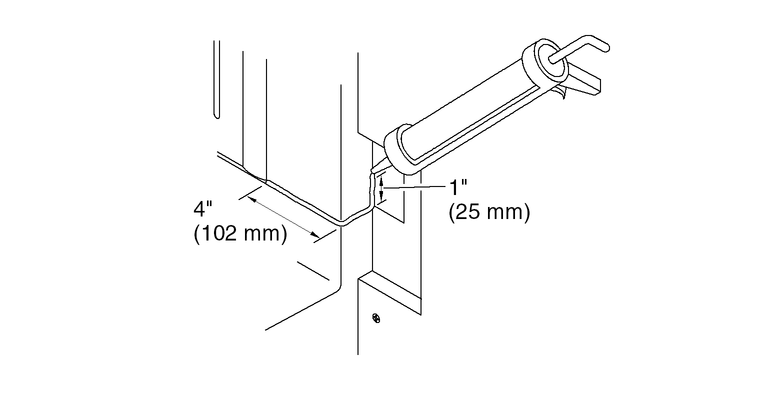 Apply a continuous bead of 100% silicone sealant to the first 4" (102 mm) of the seam, across the front edge of the wall panel, and up 1" (25 mm) of the tile flange as shown. 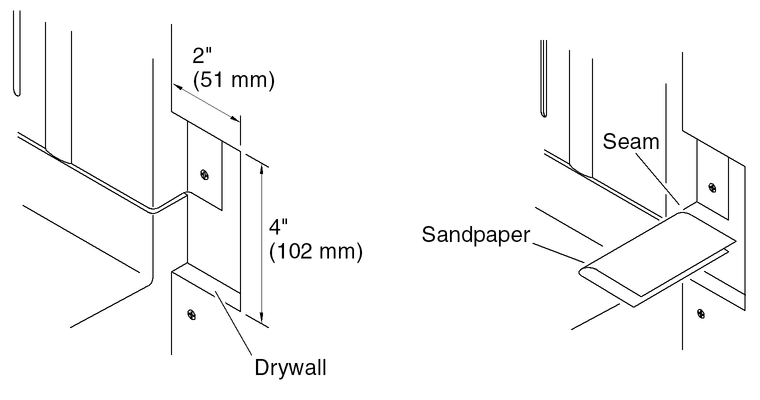 Replace the wall material and restore the wall finish.